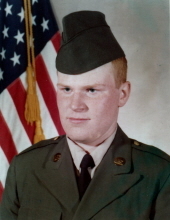 Alvin A. Ellison, age 56 of Robbins, Tennessee formerly of Williamsburg, Ky., passed away Saturday April 6, 2019 at the Big South Fork Medical Center in Oneida, Tennessee. He was born June 8, 1962 in Chicago, Illinois to the late Guy Chase and Calestine “Helen” Moses Ellison. Along with his parents he was preceded in death by a brother Clarence Ellison and a nephew Jasin Glien Stephens. He is survived by 2 sisters; Cynthia R. Madison and Charolette M. Ellison Stephens (Tom) all of Williamsburg, Ky., 3 brothers; Teddy Ellison of Williamsburg, Ky., Alan “Rommell” Ellison of Arizona, A. Keith Ellison of Williamsburg, Ky., and a host of uncles, aunts, nieces and nephews to mourn his passing. Graveside service will be 11:00 am Tuesday April 9, 2019 at the Jellico Creek Cemetery with Rev. Kevin Hendrickson officiating. Interment will follow in the Jellico Creek Cemetery. To send flowers or a remembrance gift to the family of Alvin A. Ellison, please visit our Tribute Store. "Email Address" would like to share the life celebration of Alvin A. Ellison. Click on the "link" to go to share a favorite memory or leave a condolence message for the family.